Alvarado's research interests broadly include building physical model systems in the laboratory that mimic the mechanical behavior of biological systems. He researches the mechanics of contractile active gels of the muscle proteins actin and myosin, which act as a model system for cytoskeletal contractions in non-muscle cells. Additionally, he investigates the mechanics of hairy surfaces immersed in fluid to model biological hairy surfaces such as tongues, intestines and blood vessels. Alvarado obtained his M.Sc. in physics at the Universität Leipzig, Germany in 2008, and went on to obtain his Ph.D. in physics at the Vrije Universiteit in Amsterdam, Netherlands in 2013. 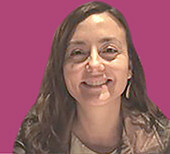 Prior to joining UT, Alvarado was a postdoctoral associate at the Massachusetts Institute of Technology. Alvarado will be joining the faculty in January 2019. Burgermaster's research applies data science and human-computer interaction methods to improve nutrition and community health. 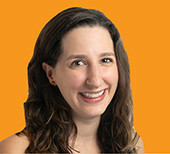 Prior to joining UT, Burgermaster completed a postdoctoral fellowship in biomedical informatics at Columbia University Irving Medical Center where she conducted research on technologies for diabetes management among underserved New Yorkers. She was granted an early career award from the Sackler Institute for Nutrition Science at the New York Academy of Sciences to support her work developing methods for psychosocial phenotyping. She was also the behavioral nutrition lead for the CUIMC-based team that developed "Taming Type 2 Diabetes Together (T2D2)," a voice application for personalized nutrition and diabetes self-management that was a finalist in the 2017 Alexa Diabetes Challenge and the 2017 World Cup of Voice Tech in Diabetes. 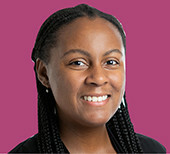 Burgermaster holds a Ph.D. in behavioral nutrition from Columbia University, where her research at Teachers College's Tisch Center for Food, Education and Policy focused on improving the evaluation of school-based childhood obesity prevention interventions. Burgermaster holds an M.S. in nutrition and food science from Montclair State University. She holds an M.A.Ed. in curriculum and instruction and a B.A. in music and psychology from the College of William & Mary. She previously had a career as a teacher and school administrator. 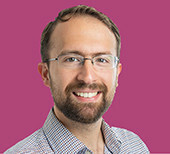 Cenik's research involves broad analyses of RNA, RNA translation, and protein levels to understand molecular mechanisms governing translation of specific RNAs. Cenik's work requires cutting-edge genomic and proteomic studies coupled with rigorous bioinformatic analysis. Cenik received his B.A. in applied mathematics from Harvard College, followed by his Ph.D. in genetics at Harvard Medical School under the tutelage of Dr. Frederick P. Roth. Prior to joining UT Austin, he completed a postdoctoral fellowship under Dr. Michael P. Snyder in genetics at Stanford University, School of Medicine. Cenik has received both an NIH early investigator award and a CPRIT recruitment award. Cenik's research involves genetic dissection of ribosome biogenesis and how the number and potential type of ribosomes is coupled to developmental stages of metazoans. Cenik received her B.S. in molecular biology and genetics from Bilkent University in Turkey, followed by her Ph.D. in biochemistry and molecular pharmacology at the University of Massachusetts Medical School under the tutelage of Dr. Phillip D. Zamore. She then completed postdoctoral training with Nobelist Dr. Andrew Z. Fire in molecular genetics and ribosome biogenesis at Stanford University. 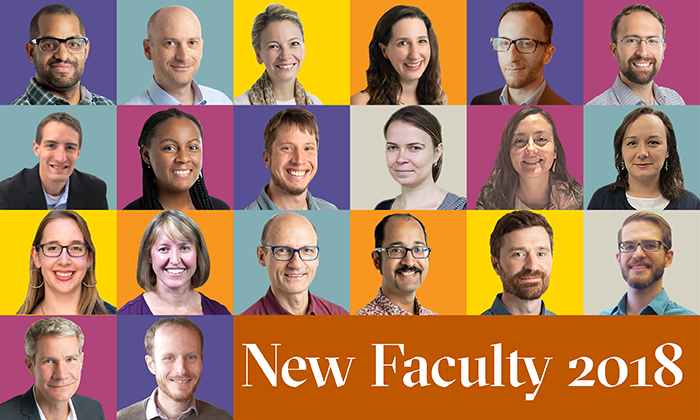 Cenik will be joining the faculty in January 2019. Havird's research centers on the importance of cytonuclear interactions in molecular evolution and physiology. Mitochondria and other endosymbionts are critical components of eukaryotic cells, but retain their own independent genomes. Components encoded by each genome must interact precisely in order to supply the cell with energy. 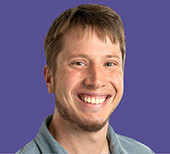 Havird uses bioinformatics and wet lab techniques to characterize molecular evolution in cytoplasmic and nuclear genomes, as well as their implications for organismal physiology, environmental adaptation, and general processes in evolution such as speciation and sexual reproduction. He received a B.S. and M.S. from the University of Florida and a Ph.D. from Auburn University. Prior to joining UT Austin, he completed an NIH Individual Postdoctoral Fellowship at Colorado State University. Keith Hawkins is an observational astronomer focusing on galactic and stellar archaeology. His research is centered on the formation, assembly and nature of our galaxy, the Milky Way, using stellar fossils in the sky. He uses a combination of big data analytics and large ground-based and space-based telescope facilities to spectroscopically characterize the chemical properties of stars across the galaxy. He uses these data together with models in order to constrain the processes important in galaxy formation and evolution. Hawkins received his B.S. in astrophysics (with minors in mathematics and African studies) from Ohio University's Honor Tutorial College. He then obtained his Ph.D. from King's College at the University of Cambridge in 2016 as a Marshall Scholar. He followed up with a Simons' Foundation Junior postdoctoral research fellowship at Columbia University in the city of New York before joining the faculty this fall. Hull's research focuses on the development of and mechanistic studies of transition metal-catalyzed reactions. Hull received her B.A. in chemistry from Macalester College in 2003. She obtained her Ph.D. from the University of Michigan in 2009 working with Prof. Melanie Sanford. While there she received several awards, including an ACS Division of Organic Chemistry Fellowship and the Roche Award for Excellence in Organic Chemistry. 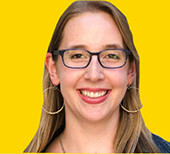 Upon graduation, she moved to California as an NIH postdoctoral fellow in Prof. Barry M. Trost's laboratory at Stanford University from 2009–2012. She began her academic career at the University of Illinois, Urbana-Champaign in the fall of 2012. Hull has been the recipient of a number of awards, including being named one of C&E News' Inaugural Talented Twelve, the NSF CAREER Award, Sloan Research Fellowship and the Amgen Young Investigator Award. Juschenko's research interests revolve around group theory and analysis on groups. 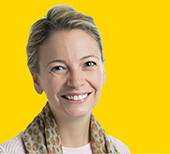 She uses probabilistic and functional analysis methods to study properties of groups. 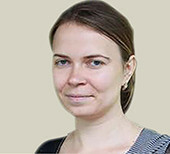 She did her Ph.D. at Texas A&M under the supervision of Gilles Pisier, as well as a postdoctoral fellowship at Vanderbilt, Nashville, and EPFL, Lausanne. After the fellowships she became an Assistant Professor at Northwestern University, Evanston. Kemp's research examines the role of global change phenomena in shaping past, present, and future vertebrate communities. She is especially interested in identifying patterns of extinction, colonization and diversification in Quaternary insular lizards. Her interdisciplinary approach integrates paleontology with ecology, evolutionary biology and conservation biology through fieldwork, wet lab research and quantitative methods. Kemp obtained a B.A. in biology from Williams College in 2010 and earned a Ph.D. in biology at Stanford University in 2015. Prior to joining the faculty at UT Austin, she was an Environmental Fellow and NSF Postdoctoral Scholar at Harvard University. Her work has been recognized by the Society of Vertebrate Paleontology and funded by various organizations, including National Geographic and the National Science Foundation. Leidy's research focuses on the relationship between protein and weight management, particularly in young people. She also studies the connection between breakfast consumption, circadian rhythms and sleep behavior. She earned her B.S. in biology from Shippensburg University, her M.S. in physiology at Penn State and her Ph.D. in physiology from Penn State. She did her postdoctoral work at the Ingestive Behavior Research Center and the Department of Nutrition Science at Purdue University. 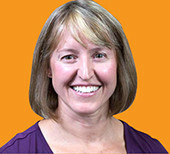 She is currently an associate professor of nutrition sciences at Purdue and will join the UT faculty in 2019. 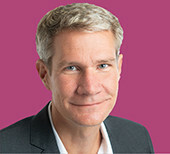 Martinsson's research utilizes techniques and ideas from mathematical analysis to develop faster and more accurate algorithms for solving tasks in scientific computing and data sciences. He has developed probabilistic algorithms for compressing and analyzing large datasets that have in a short amount of time become standard tools. 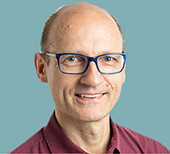 Before joining UT Austin, Martinsson served as a professor of mathematics at the University of Oxford, and he has previously held faculty positions at the University of Colorado Boulder and at Yale University. Martinsson was the recipient of the SIAM 2017 Germund Dahlquist Prize, and he has held an NSF Career award. 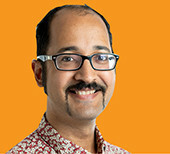 He is an alumnus of UT Austin, where he earned his Ph.D. in computational and applied mathematics in 2002. Morley's research focuses on understanding the properties of planets orbiting stars other than the Sun, known as exoplanets. She uses theoretical models to simulate the colors and spectra of planets with different properties, and compares those simulations with observed exoplanets to measure their compositions, temperatures, and other properties. One of her specialties is modeling clouds and hazes in exoplanets, which can be made of a variety of materials like sulfides, salts and silicates. She received Bachelor's degrees in physics and Earth, atmosphere and planetary sciences from the Massachusetts Institute of Technology in 2010 and her Ph.D. from the University of California, Santa Cruz in 2016. She moved to Harvard University for a Sagan Postdoctoral Fellowship before joining the faculty this fall. 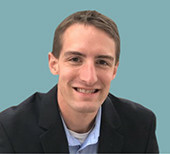 Page's research utilizes tailored templating and photochemical approaches to generate well-defined soft materials and composites with interesting (opto)electronic and mechanical properties. The fundamental and interdisciplinary research in macromolecular synthesis and materials science that will be performed in the Page group will have potential applications spanning bioelectronics, flexible electronics and additive manufacturing. Page obtained his B.S. in chemistry at Juniata College under the guidance of I. David Reingold. After graduating from Juniata, Zak carried out his Ph.D. studies in the laboratories of Todd Emrick at the University of Massachusetts, Amherst. From 2015-2018, he conducted postdoctoral research with Craig J. Hawker at the University of California, Santa Barbara. Payne's research focuses on the development and application of combinatorial methods in algebraic geometry, especially through connections to tropical geometry and nonarchimedean analytic spaces. 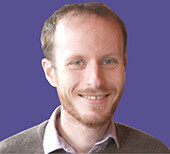 His recent work uses such techniques to give new insights into the topology of moduli spaces of curves and cohomology of mapping class groups. 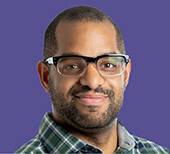 Payne received his Ph.D. from the University of Michigan, Ann Arbor in 2006, and was a Clay Postdoctoral Research Fellow at Stanford University for four years. Prior to joining UT Austin, he was professor of mathematics at Yale University. Raskin's research is in representation theory and algebraic geometry. His research is primarily focused on the local geometric Langlands program, which aims to establish fundamental dualities similar to phenomena occurring in arithmetic and quantum field theory. His work has introduced new geometric methods for studying affine W-algebras and Kac-Moody representations. Raskin obtained his undergraduate degree from the University of Chicago and his Ph.D. from Harvard University. Before coming to UT Austin, he spent three years as a C.L.E. 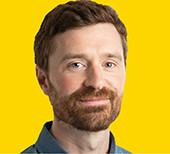 Moore instructor at MIT and one year as an L.E. Dickson at the University of Chicago. 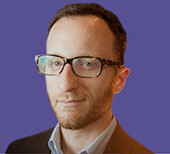 Shacham's research interests include cryptography, privacy, systems security and technology policy. 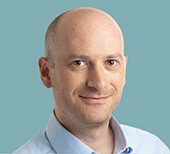 Shacham, who studied at Stanford University, was a postdoctoral fellow at the Weizmann Institute and previously was an assistant professor of computer science and engineering at the University of San Diego since 2007. 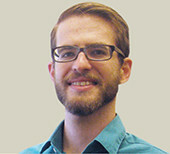 At UT, Shacham will join the security research group, which investigates topics such as cryptography and secure computer systems. Siebert's research concerns the mathematical investigation of the mirror phenomenon in string theory. This phenomenon predicts a deep connection between the algebraic geometry of one space with the seemingly unrelated symplectic geometry of a different space, its mirror. For a systematic understanding of the phenomenon, jointly with Mark Gross (Cambridge) he developed a technique of breaking the mirror spaces into essentially linear pieces via dual limiting processes. Ongoing research concerns expressing both algebraic and symplectic geometries in terms of the arrangement of linear pieces. Siebert received his Ph.D. from the University of Göttingen, held pre-tenured or visiting positions at New York University, the University of Bochum, MIT and the University of Paris VII. He was an associate professor at the University of Freiburg and a full professor at the University of Hamburg before joining UT Austin. In 2016 he received the Clay Research Award jointly with Mark Gross for their work on mirror symmetry. Widen's research interests focus primarily on maternal and child nutrition and health. 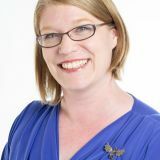 Her current work applies advanced analytic methods and interdisciplinary approaches to rigorously evaluate the role of nutrition during the first 1,000 days of life (conception to age 2) on short and long-term health of mothers and their children. 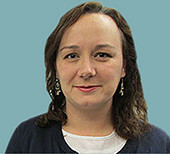 Widen earned her undergraduate degree in dietetics from Miami University in Oxford, Ohio, and completed a dietetic internship at the University of Maryland, College Park. She then completed an Intramural Research Training Award Fellowship at the National Institutes of Health in the National Institute of Diabetes and Digestive and Kidney Diseases. Widen earned her Ph.D. in nutrition with a minor in epidemiology at the Gillings School of Global Public Health at the University of North Carolina at Chapel Hill. Prior to coming to UT Austin, Widen completed an Interdisciplinary Postdoctoral Fellowship in Nutrition and Population Health at Columbia University Medical Center in the Institute of Human Nutrition, New York Obesity Research Center and the Department of Epidemiology, New York, NY. Zigler's research focuses on statistical methodology to confront the challenges of complex observational studies. 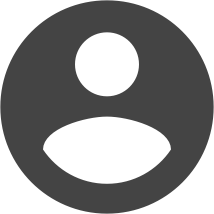 Areas of focus include Bayesian methods, causal inference, comparative effectiveness research, spatial statistics and environmental health data science. He has established a national and international reputation in the fields of statistics and biostatistics, and has impacted other areas of public health research including air pollution regulatory policy, environmental engineering, cancer health services research, interventional cardiology and health care policy. He recently moved to UT Austin from the Harvard School of Public Health, and received his Ph.D. from the Department of Biostatistics at the UCLA Fielding School of Public Health. Zimmerman's research focuses on black holes and gravitational waves. As a member of the LIGO Scientific Collaboration, he analyzes gravitational wave signals to infer the properties of the black holes and neutron stars that produce these faint signals. He also studies how black holes emit gravitational waves, using both computer simulations and pen-and-paper approximations. Zimmerman earned his B.S. in astrophysics from the University of New Mexico and his Ph.D. from the California Institute of Technology. Before joining UT Austin as a faculty member, he was a postdoctoral fellow and research associate at the Canadian Institute for Theoretical Astrophysics.